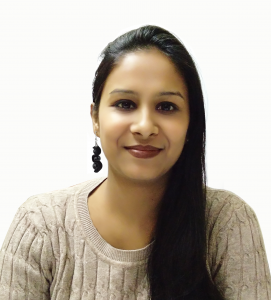 Sonali Jain is a faculty of commerce, with a degree in MBA, specializing in finance, and with cent percent score in management from Amity university, Noida. She has been an academic jewel with medal of glory in her graduate and post graduate courses proving her mantel in presentation with best paper award in her Post Graduation course. With a “don’t give up” attitude, she has been nurturing the students for just over half a decade. Specializing in ferisely difficult theory subjects like EIS-SM and Auditing, her teaching mechanics is guided by infusing the students with right approach towards the subject to imbibe conceptual clarity, which gained her popularity with the name “Theory Queen”. Currently she is providing classes of Strategic Management and Auditing to CA CMA Intermediate & CS Executive. Business Economics, Business & Commercial Knowledge, Business management to CA CMA and CS Foundation level together with Graduation & Post Graduation classes. Further, being a motivational speaker helped her earn a spot in the ICAI orientation programs as visiting faculty. Beside this, she has written many other books, like Introduction of Micro Economics, Introduction of Macro Economics and Business Management for various level of commerce.